Treetown Boards was created because of our love for stand up paddle boarding and our wish to bring high quality boards to Southeast Michigan. The founding members of Treetown Boards started paddle boarding in Hawaii nine years ago and have since watched the sport grow all around the globe. As the sport has grown, we noticed the lack of quality, affordable freshwater paddle boards for sale in Michigan. We also recognized the lack of repair services and supplies for the local paddle boarding enthusiast. Here at Treetown Boards, it is our wish to offer our customers the very best products available and provide sound advice based on our experience and research in Hawaii and on the mainland. It is our mission to pass on our love of the sport to our Ohana, or family, in the Mitten and keep the stoke alive. Treetown Boards is currently offering two SUP retail lines, Jimmy Lewis and SUP ATX, including their Lahui Kai product line. Jimmy Lewis has been shaping boards in Maui since 1968. Jimmy Lewis' patented PVC sandwich construction technology offers the highest performance boards that are extremely lightweight. His boards are known for their stability and smooth paddle. Jimmy Lewis designs are functional and require less effort than many other boards with more volume or size, because of the golden ratio in their shape. These boards are top of the line and will not disappoint. Novice and expert paddlers alike will fall in love with their Jimmy Lewis board and Treetown Boards is proud to be the largest Michigan dealer of Jimmy Lewis SUP. 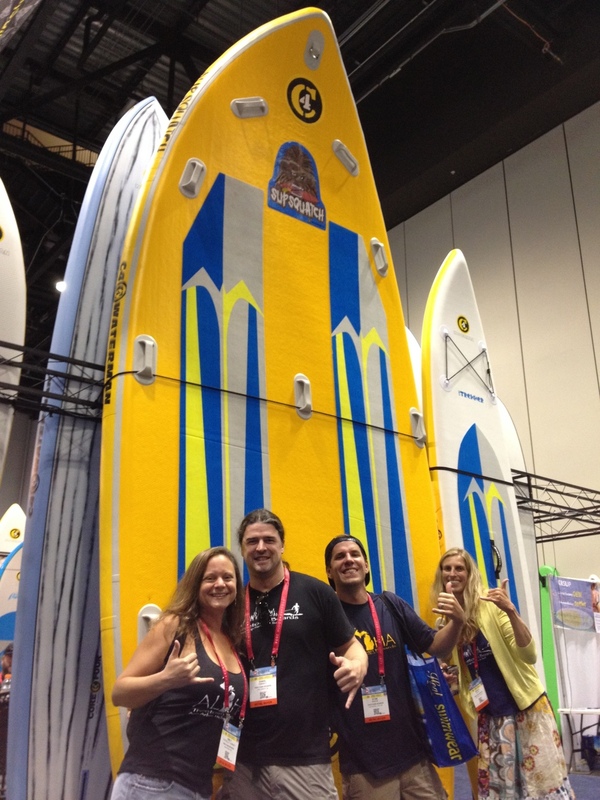 SUP ATX is an industry leader and #1 paddle board manufacturer worldwide. SUP ATX stand up paddle boards are handcrafted using the best materials including the most expensive, highest quality U.S. made epoxy resins and fiberglass available. Their low price point makes them the most affordable quality board on the market. Lahui Kai is known for their performance touring boards and race boards. Notable SUP racers, Annabel Anderson and Kelly Margetts rep the brand and in 2014, Lahui Kai won the Battle of the Brands at the Battle for the Paddle. In addition to our high performance product lines, we are one of the only local dealers who can also service and repair your paddle board to protect your investment for years to come. If you are thinking about buying or just trying out the sport of SUP, contact us, we would love to work with you and share our love of SUP.